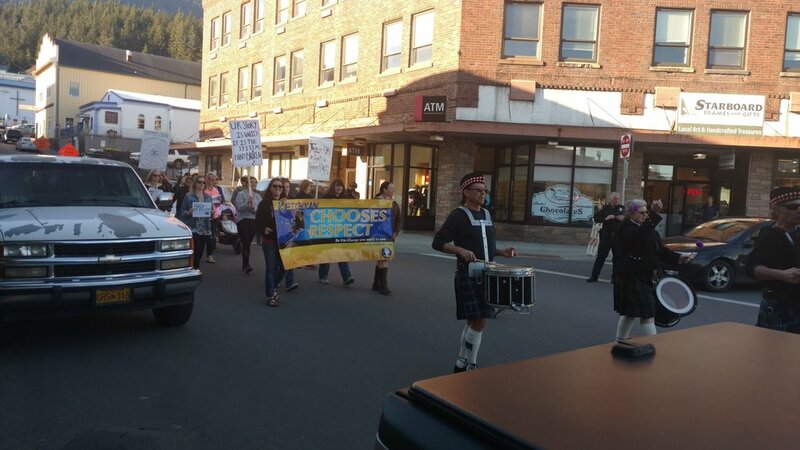 Folks of Ketchikan got together on Friday night for the Choose Respect March to the Discovery Center. Following the march, there were light refreshments and a special screening of Girl Rising for the Friday Night Insights program. Thanks everyone who came out to raise awareness about domestic and sexual violence in our community and support efforts to prevent it! Also thanks to Misty Thistle Pipes & Drums for playing at the March and City of Ketchikan Police Department for showing their support!